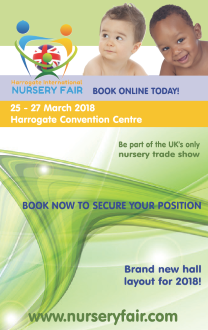 After much trepidation, having faced a panel of expert judges in a ‘Dragon’s Den’ style presentation in central London, four finalists will be heading to Harrogate International Nursery Fair in March as finalists in the Baby Products Association’s 2017 Concept & Innovation Awards. Concept Award finalists are Charlotte Lonngren with ‘The Baby Band’ and Lisa Walford with the ‘Sleep Safe Seat’. Charlotte’s Baby Band product idea is a simplistic wrist-band which mums can wear to keep track of babies’ feed and sleep times. Charlotte explained that she feels guilty that when her twins were very small the smartphone app she used to keep track of her babies’ feeds was very complicated and distracting and caused her to concentrate for much too long on the app when she felt she should have been interacting with her children. Her product idea provides the basic information without unnecessary complications and excessive technology. Lisa Walford, an ex-police officer who has seen many car accidents involving young children, came up with her product idea – the Sleep Safe Seat – when her own children were very small. She explained that often she would strap the children into their car seat awake at the beginning of the journey and they would fall asleep causing their heads to fall forward. Whilst driving it is impossible to safely recline the seat and it was not always convenient to stop to tip the seat back into a sleeping position. She has spent many years developing a remote control reclining car seat which can be quickly reclined at the touch of a button. The Innovation Award finalists are Lucy Bostock with her ‘Adventure Belt’ and Deborah Sher and Gemma White with ‘SleepKeepers’. Lucy’s product idea came from having an adventurous five-year-old who was prone to disappear during outings, but resented being treated like a ‘baby’ with the use of traditional reins. The Adventure Belt clips from the adult’s belt to the child’s belt – which incorporates a fun pouch accessory – giving parents the security of keeping the child close by, but the child equality in that they are no more restricted than the parent. Deborah and Gemma’s SleepKeepers’ were designed after numerous sleepless nights when their children moved from cots to beds. They found that they wriggled and duvets – and sometimes even children – ended up on the floor. SleepKeepers are magnetic accessories which keep the duvet firmly in place, yet allow the child the ability to get in and out of bed if they need to. 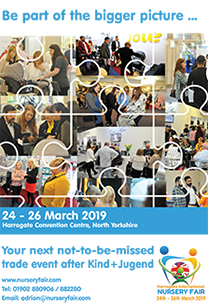 All four finalists will be presenting their product ideas on the Concept & Innovation Stand at Harrogate International Nursery Fair from 28th to 30th March 2017 – and the winners will be announced during a drinks and awards reception in the Royal Hall of the Harrogate International Centre straight after the show on Tuesday 28th. The Concept & Innovation Awards are sponsored by law firm 3Volution and the two winners will receive £750 worth of legal fees.